If, like me, you had to read Lord of the Flies at school, it's a text you will probably remember for the brutality, bullying and torment of schoolboys who quickly turn into savages when stranded on a deserted island. 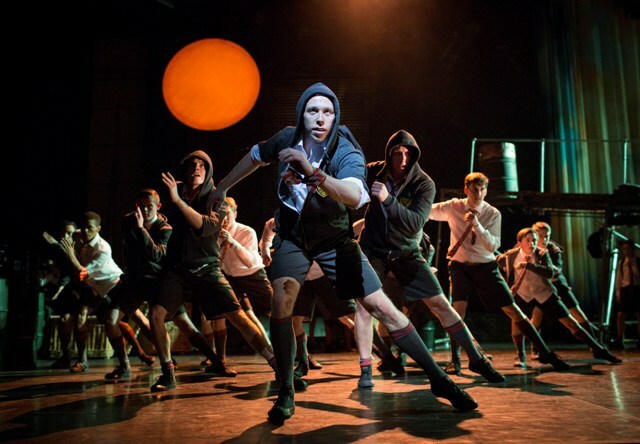 The classic William Golding novel has now been given the Matthew Bourne dance makeover through his touring company New Adventures - and although it is wordless and depicted only through expressive dance, it still speaks volumes. The show is on a UK tour, which stopped off at Birmingham Hippodrome as part of International Dance Festival Birmingham 2014 (IDFB) in May. It continues to cities including Canterbury, Liverpool, Bradford and London. The show opens on a practically bare stage with scaffolding and ramps to one side and a metal roller shutter that the uniformed schoolboys march through. Instead of an island, they end up becoming trapped in this eerie warehouse as the roller shuts and the bangs of frustration of their little fists against the corrugated metal fall on deaf ears. Immediately grabbing their mobile phones, the dark stage is full of glowing lights that get no signal - it's just one of the quirky, thoughtful details that make this modern re-working so cleverly adapted and compelling. It's not just all down to Matthew Bourne - the modern day saint of contemporary dance - either. He co-directs this with Olivier Award-nominee Scott Ambler, who is also responsible for the choreography. Intelligently, we see a gradual shift from normal children having food fights and tears at bedtime to gangs who hunt pigs, and eventually their peers. 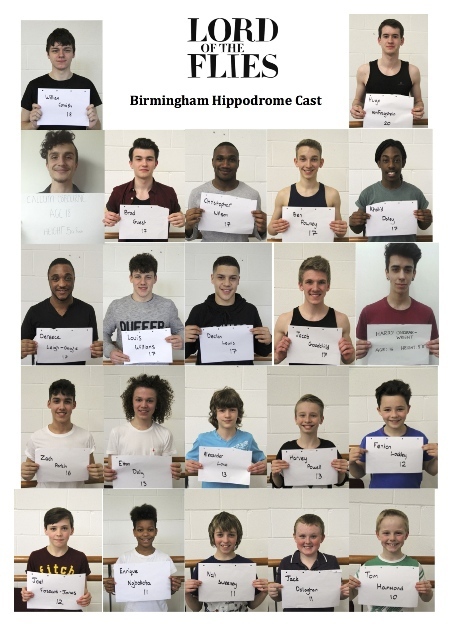 Adding another special touch to this production is that the core adult dancers are joined by 22 young men and boys (as young as 11) from the local area that the show is being performed in. The chosen boys went through a rigorous audition process and it shows as the performances on stage are tremendous considering how tender many of them are in years. It adds a special element having youngsters on stage, especially a very small child who constantly cradles his teddy bear. They don't even look too out of place alongside the New Adventures' professionals, who are exceptional dancers. Layton Williams as tragic Simon is especially good and fluid with his movements. He seems to be able to make his body defy gravity. It's a strong cast and even the dancer playing Piggy (Sam Plant), who I thought was mainly there to strut and be bullied, had his own solo moment when he showed real grace. This production has been supported by Arts Council England, the Arts Council of Wales, along with other major trusts and donors, and I am thankful that it was, as without that funding, it may never have been created. It is something that both adults and children will be compelled by from start to finish, particular with the jarring soundtrack of drums and cello strings. What affected me most after reading Lord of the Flies was the cruelty of how children can treat each other. This production has not lost any of that raw emotion that is so central to the plot. It manages to be just as shocking, upsetting and provocative. It's a wonderful thing to see. UK Tour tickets cost from £15 and are available from the New Adventures website. Alexander Joe Townsend Love, 13, from Leicester.